It’s kind of a self-help phrase, “doing the work,” used in various forms of therapy, recovery and personal development programs. All of which I love, by the way. But since you are a writer, let me come at it from a different angle. At that is what happens if you don’t do the work. If you don’t do the work, you project your psychic struggles through your fiction or attempt to settle scores with your non-fiction. If you don’t do the work, you are driven by subconscious complexes rather that being able to receive information from the collective unconscious. If you don’t do the work, you are passing on a form of contagion, whereas if you do the work, your creativity will flow more smoothly. Because if you stop avoiding things in real life it actually makes it easier to write about those things. What is in media res? Writers are advised to start their stories with an action that will capture the reader’s attention. This action should be compelling—it cannot waste too many precious words on exposition, or setting the scene. This action should inspire curiosity. So far, so good. In the last twenty years, however, in media res has taken on a much narrower definition. Now it means something like: Choose a scene from the middle of your narrative (when approached in a chronological sense), then spend the next chunk of the story leading up to it again until the reader can figure out just exactly what the first scene meant after all. In media res was originally used as a tool for selection. It helped Greek playwrights figure out where to begin their narrative. Presenting a scene first indicates its importance to the whole, just as deciding which scene will come last indicates the dramatist’s moral intent through the fate of the characters. But the dramatist did not go back and fill in the details of what happened previously. They assumed that the audience would already have this information (which battle had been fought, who had been the victor, what situation these characters found themselves in, etc.). By contrast, today’s writer who begins in media res starts us off with a lone, out-of-sequence scene. Then what can amount to half the book is told in essence as a flashback. Readers can find this disconcerting because, basically, we forget about the scene that started everything off. We may harbor a mild curiosity as to why that scene has been given such special placement and when it might recur. I would argue for two ways out of this current dilemma. If you are going to begin with a scene from the middle of the narrative, why not continue to utilize the narrative possibilities of flashbacks and multiple concurrent timelines to ensure that your first scene does not look like an ugly duckling? Perhaps a simpler solution to the in media res dilemma, once you have begun in the “thick of it,” don’t backtrack. If your first scene engenders interest, if it implies a world where there is something at stake and immediately transports the reader into a situation with dramatic tension, why not just continue from there? 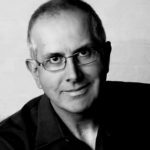 Please welcome Book Architecture’s guest blogger and award-winning author – Ray Daniel! Stuart Horwitz’s Book Architecture trilogy, Blueprint your Bestseller, Book Architecture, and Finish Your Book in Three Drafts, delivers a powerful framework for writing a novel. 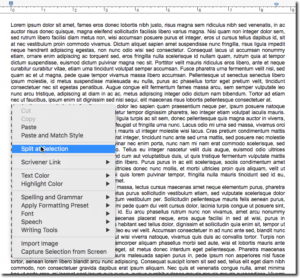 Scrivener, the software package from the company Literature and Latte, is a powerful software tool that combines word processing with outlining, research storing, and task management to create a single novel-creating platform. One would think that there would be powerful synergies between a novel-writing software tool, Scrivener, and a novel-writing creation tool, Book Architecture, and one would be correct. 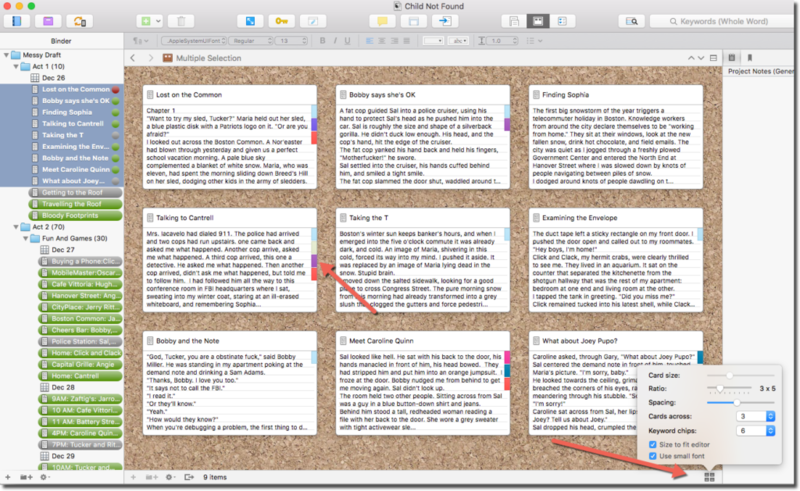 This blog shows one way to use Scrivener to manage the Book Architecture process. 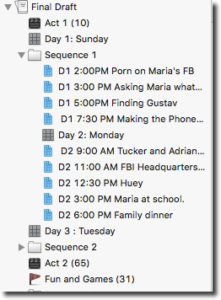 Since it’s easier to work from example, I’ll be using my third Tucker Novel, Child Not Found, and parts of my fourth Tucker Novel, Hacked as examples of a novel built using Book Architecture and written in Scrivener. 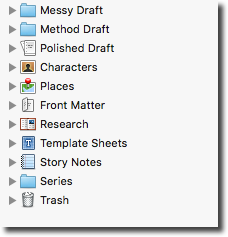 Here we see the first place where Scrivener intersects with the Book Architecture method: draft management. 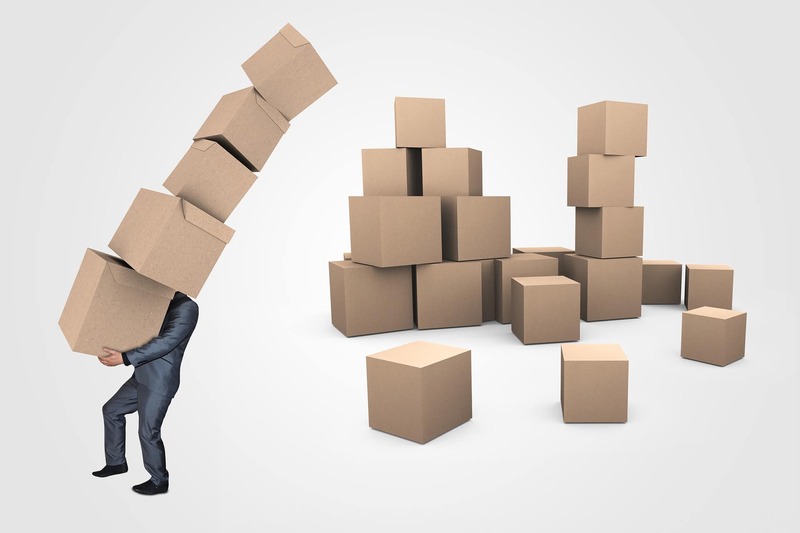 Rather than have separate word processing documents for each draft – or even worse, one document that keeps changing – we have a place to store each of our drafts so we can refer to back to previous drafts as we move forward. As we see here, we copy the messy draft to create the method draft. But where did the messy draft come from? It came from Blueprint Your Bestseller’s Action Step #0. Generating material is the first step in the Book Architecture method. There are many ways to generate material and Blueprint Your Bestseller discusses several of them. One of the most basic ways to generate material is to start at the beginning and simply write the book into a word processor. This results in a long document containing your entire novel. 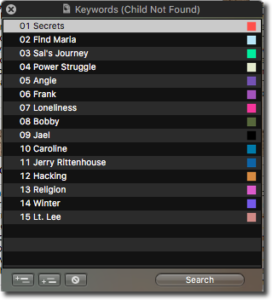 If you’ve generated material, and need to bring it into Scrivener, you can import and organize your novel into scenes. Blueprint Your Bestseller encourages writers to cut up their scenes as Action Step #5. I suggest, for reasons that we’ll see, that Scrivener users do this as Step #1. You place your cursor between two scenes and use the right mouse button to split the scene at the selection. This gives you two scenes that you can name. You keep working your way down your document until you’ve “cut up” all your scenes. While Scrivener makes it easy to split a novel into scenes, I recommend a different approach: generating material scene by scene. That is, you create a separate document for each scene and allow Scrivener to compile it all into a book. 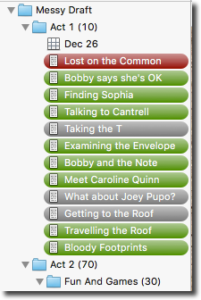 You can set Scrivener to compile your scenes however you like. My books have one scene per chapter, so the compilation process is simple. But you can use folders to combine several scenes into a chapter and several chapters into parts. Generating material scene by scene in Scrivener has the obvious advantage that you don’t need to split your manuscript into scenes later on. It has additional advantages in that it is satisfying to finish a scene and move on to the next one, and that you can use icons in the binder to add orienting material to your manuscript such as acts, beats, sequences, and days. For example here are the scenes that make up my most recent Tucker book, Hacked. Brainstorm Your Scenes—Make a list of your scenes from memory. Your Good Scenes—Highlight the good scenes, those that are done for now. Your Bad Scenes—Highlight the bad scenes, ones that need work. Your Forgotten Scenes—Note the ones that skipped your mind. Cut Up Your . . . we already did this. When you edit the labels you can add colors by clicking on the colored dot next to each label. Now that you have colors on each of your labels you can use them to examine your scenes. View -> Use Label Color In -> Binder. Hmm. Lots of green. Not so bad. Action steps #6-#10 from Blueprint Your Bestseller all relate to finding the series in your story and attaching them to scenes. Then you look for key scenes where several series intersect, find the theme of the book, and consciously choose how to present the series in terms of frequency and rhythm. The Scrivener keyword feature is perfect for managing series in Scrivener. The little plus-sign icon in the lower left allows you to add series. You can double click on the colored squares on the right to give each series its own color. You are now ready to add your series to your scenes. Once you have all the series associated with the scenes you can easily see how your book handles the series. 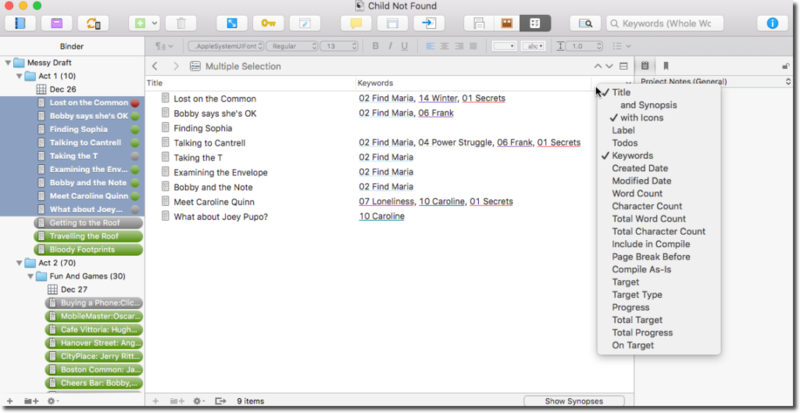 The easiest way to analyze your series is to ask the question “Which of my scenes relate to a given series?” For example, let’s examine the places where the series “secrets” came up in Child Not Found’s messy draft. We see that we have ten scenes that deal with secrets. The card display button in the lower right hand corner lets you control the number of series colors that appear on each card. 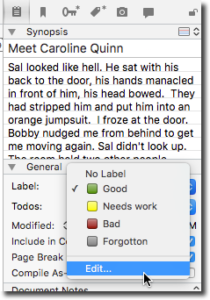 At this point Scrivener has helped us cut up our scenes, label them as good, bad, or forgotten, and assign series to them. At this point we can proceed using typical Scrivener features. Blueprint Your Bestseller action steps #7-11 have to do with finding your theme. You’ve named your series in the keywords, but the other steps of describing the series, listing the series sentences, and “finding your one thing”, are best done in a spare document in the Story Notes section in the binder. There is no “Draw the Target” function in Scrivener. You can do this with a big poster board and post it notes. Software tool geek that I am, I use Literature and Latte’s tool Scapple to create my target. Once you’ve completed your target exercise you can store the result in Scrivener’s Story Notes section either by taking a picture of it or (if using Scapple) dragging and dropping it. Stuart Horwitz says that a novel is 99 scenes arranged in the correct order. 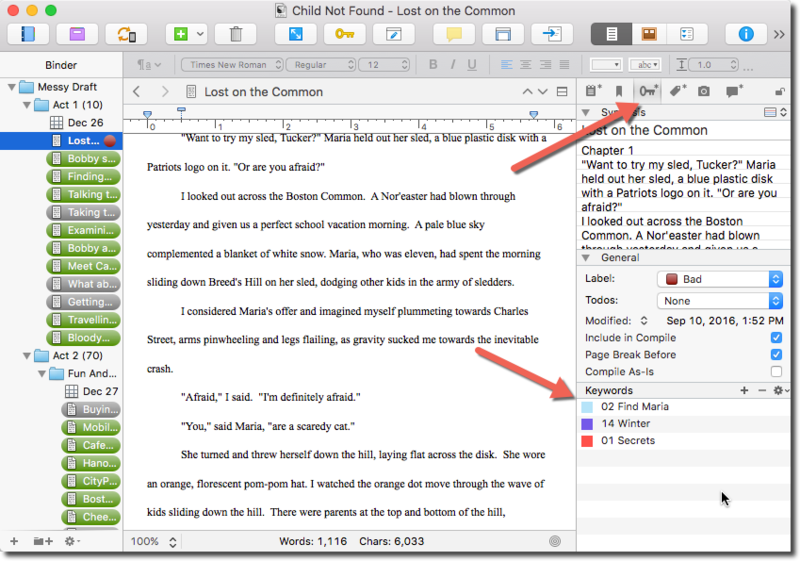 Now that you’ve fully analyzed your novel with help from Scrivener, you duplicate your messy draft to create a method draft and then rearrange and rewrite the scenes. You’ve now got 99 (or whatever number) scenes in the correct order. So you duplicate your method draft to create a polished draft and you’re all set. Ray Daniel is the award-winning author of Boston-based crime fiction and is the author of the Tucker Mysteries. His short stories “Give Me a Dollar” won a 2014 Derringer Award for short fiction and “Driving Miss Rachel” was chosen as a 2013 distinguished short story by Otto Penzler, editor of The Best American Mystery Stories 2013. CHILD NOT FOUND is the third novel in the Tucker Mysteries. For more information, visit him online at raydanielmystery.com and follow him on twitter @raydanielmystry. “Flashback” is a term that we are all familiar with, even if its definition has grown a little vague. We sense that a flashback is something that happened before… but happened before what? Where we are now? In other words, what are we flashing back from? In order to answer this question, I’d like to introduce a companion term to flashback: the reading present. The reading present is the main narrative through line, the most commonly visited time period, the one whose beginning and end most closely mirrors the beginning and end of the book as a whole. But there are also bad reasons to use flashback, not morally bad reasons of course, just whoops-I-painted-myself-in-a-wicked-corner bad reasons. When we flash back, we do so for a reason. And — get this — we reveal this reason to the reader. This reveal can be subtle, but readers need to be able to make some kind of connection to why we just went there or they will feel lost. Don’t leave the reading present for so long that readers lose their bearings upon return. In other words, don’t fall in love with another time period and dally there, favoring it over the reading present. The reader will wonder if that is when your story really takes place, and whether everything else has been a flash-forward, which gets confusing (see rule #5). Readers need exactly one reading present. Whatever the narrative frame, to wherever it jumps around, the reader’s expectation is that they will return to the reading present. There they feel most at home and know to expect to find out what happens next. Don’t flash back for too short a time, such as a few lines or a paragraph, which is really more like presenting a memory. Instead, stay in the reading present and recount the past events through a character’s thoughts. When you do flash back, do so for an entire scene, with all the benefits that a scene brings: dynamic action, a change in the state of affairs, development of the theme. This doesn’t mean a flashback can be only one scene long. It can be longer provided readers aren’t lost upon their return (see rule #2). 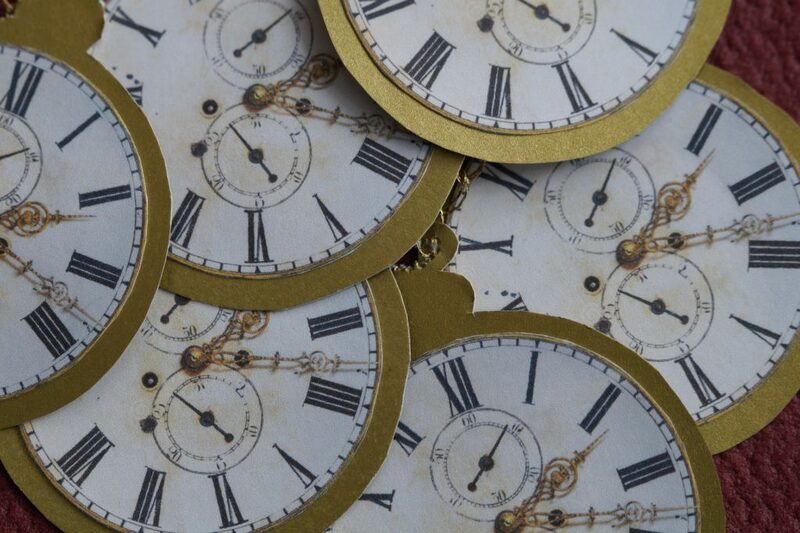 If you are going to use multiple timelines, present each timeline chronologically. Help a reader out. 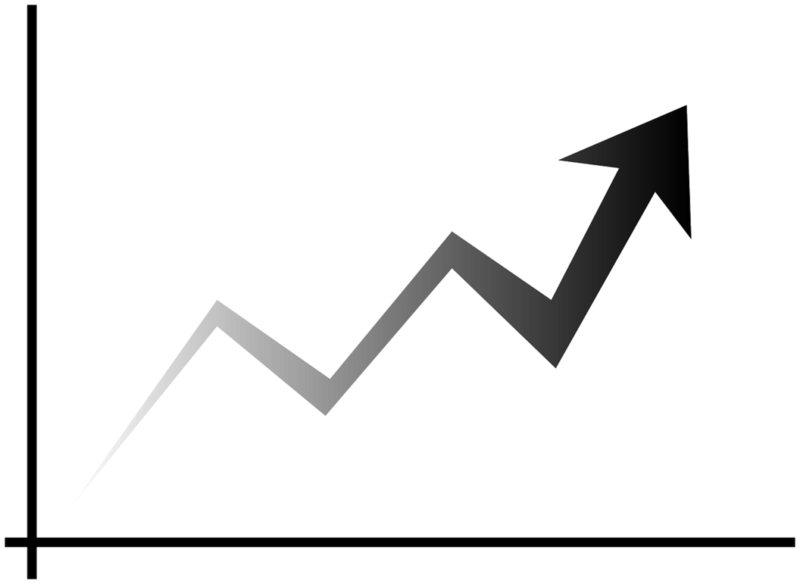 If we are flashing back from a through line that takes place in 2002 to a through line that takes place in 1993, at least have the events in 1993 take place sequentially. (You know, June, 1993 in one flashback, July, 1993 in the next flashback, October 1993, etc.) We need to feel the narrative driving forward at all times. Flashbacks work, but flash-forwards don’t usually work. 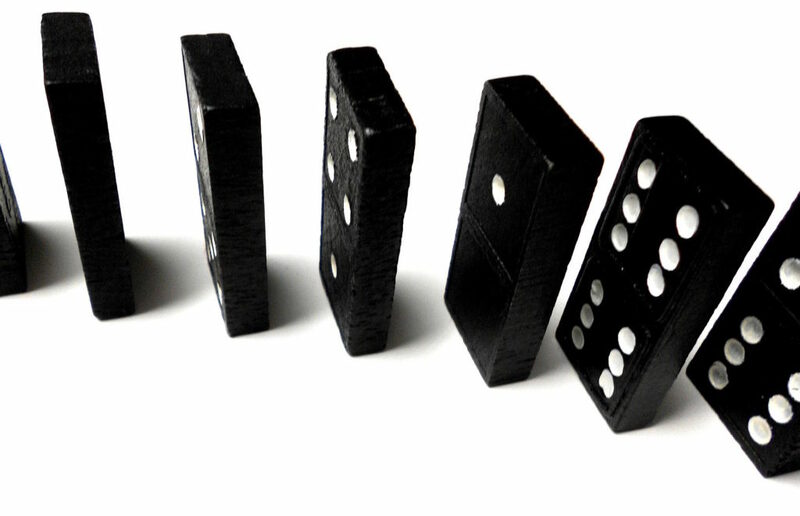 Flashbacks work because they correspond with our psychology. When we have a problem, we think back to an earlier time when something else happened. Then we figure something out about ourselves or our world (this is how therapy works, I think). If someone asks about your past, you can discourse on it rather freely even though you might end up changing the subject. If someone asks about the future, all but the most reckless souls will admit they don’t know yet. For a great example of the reading present (or the viewing present, in this case) and some fabulous use of flashbacks, watch the film Slumdog Millionaire. The reading present here is the quiz show, Who Wants to be a Millionaire? The main character, Jamal, answers each question successfully, much to the surprise of all involved, by flashing back to specific events in his past and coming back to the viewing present with the correct response. There is even a third timeline — a lot to ask of today’s movie-going public — of Jamal being interrogated by the police. But it works because each timeline in presented in chronological order. Check out my second book, Book Architecture, for further analysis of Slumdog Millionaire, and many more writing rules strategies. When we talk about flashbacks, the reading present, chronologies, and multiple timelines, we are talking about the general category called order, right? And I say that if we’re talking about order… then we might as well have some!